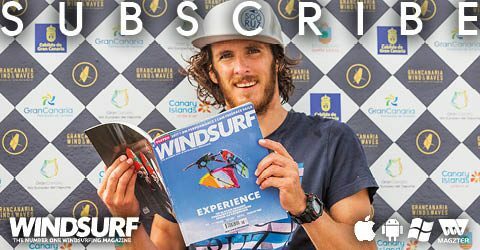 The September 2017 Issue of the world’s only monthly English-language windsurfing magazine is out now! 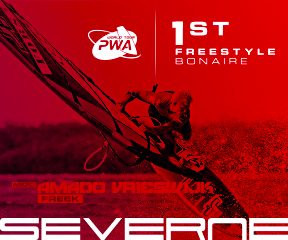 Subscribe or buy your copy here in either Digital or Print versions! 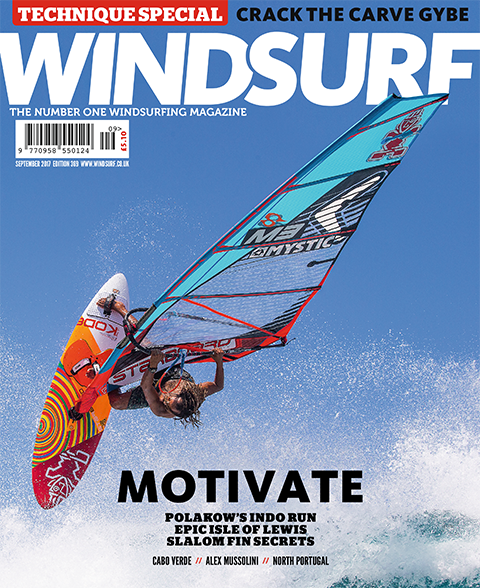 Motivate – The Pro’s Motivation, Crack The Carve Gybe With Harty, Jason Polakow’s Indo Run, Epic Isle Of Lewis, Slalom Fin Secrets, Cranking Cabo Verde, Alex Mussolini On Fitness, North Portugal, Moderate Wind And Wave Tips With Jem Hall, Winter Travel Guide. 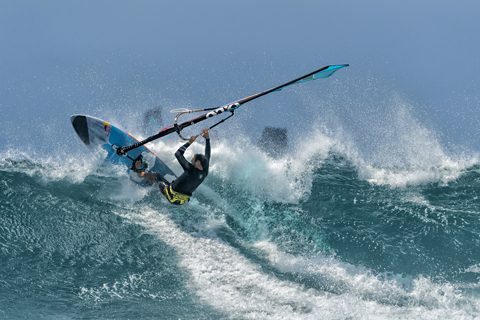 Indonesia has had an epic run of swell this season; read how Jason Polakow scored a dream session all to himself! When a trip starts bad, it sometimes only gets worse. 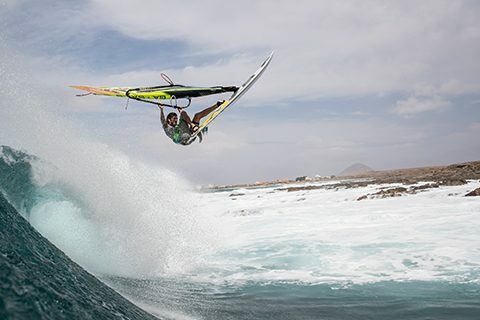 Graham Ezzy reflects on a recent trip to Cabo Verde. 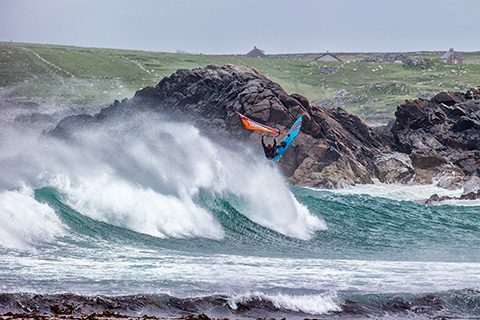 The Isle of Lewis delivered a midsummer session more than worthy of the long trip north, Timo Mullen and John Carter tell tale. 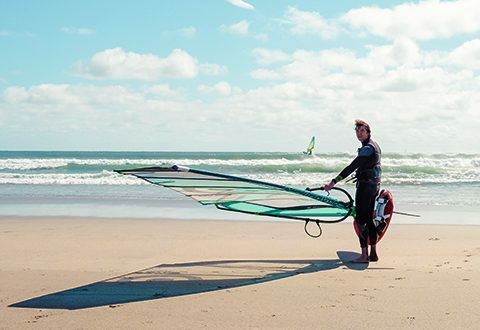 Finn Mullen reports from FeelViana, a new luxury hotel in North Portugal with great winds, lots of activities and windsurfing to suit all levels. Alex Mussolini has a secret to his success – he’s serious about fitness. Alex shares with us the benefits of his training regime. What are the secret ingredients of the ‘m-word’? What motivates the world’s best? John Carter asks the great and the good for their thoughts. 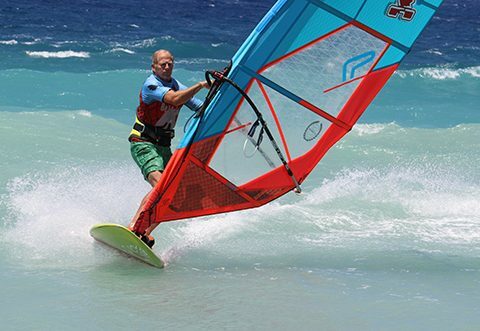 A selection of the world’s best racers and Rick Hanke of Maui Ultra fins give us their slalom fin secrets. 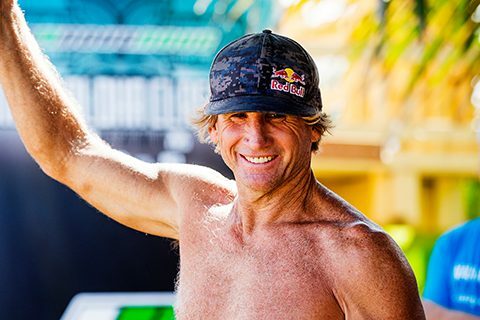 PETER HART – GYBING – JUMP OUT OF THE RUTS! Bad practice engrains rotten habits. Harty identifies the main issues with gybing and suggests an escape route from the deepest ruts. 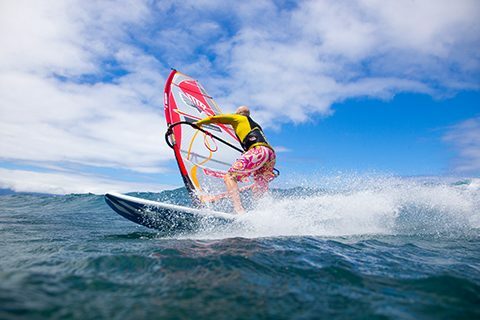 Jem Hall explains how to make the most out of moderate conditions. 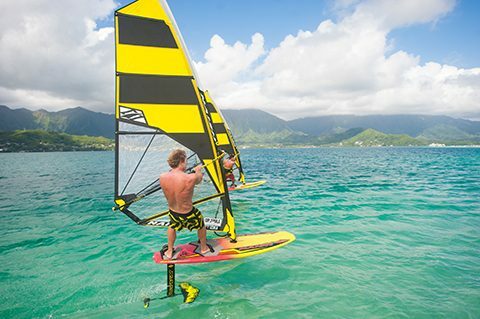 Punchier than Floyd Mayweather Jr. vs. Conor McGregor, we round up from all corners of the ring, the latest and possibly the greatest, windsurfing news. 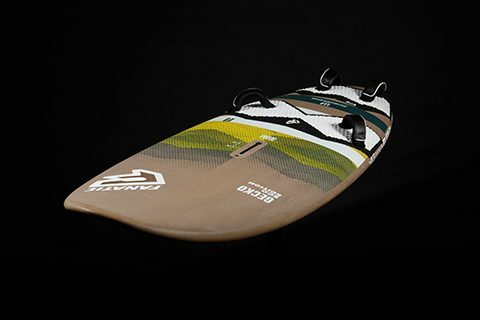 Master shaper Keith Teboul gives us the lowdown on their no compromise wave board – the Pyramid. 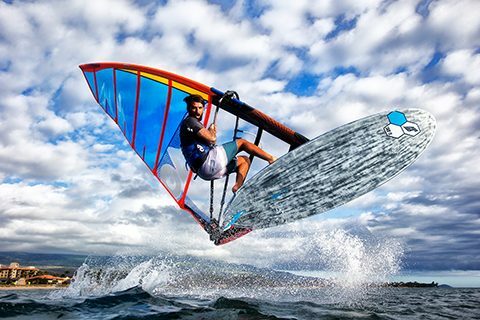 We catch up on Naish’s latest windfoiling designs – the Thrust WS 1 foil and Hover 122 board. 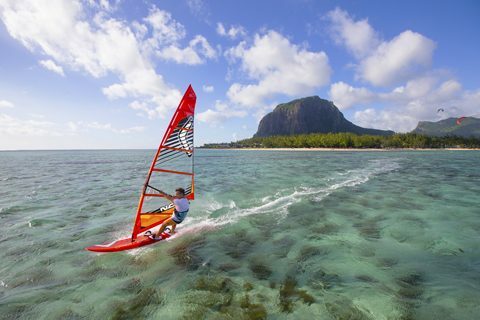 Fanatic Product Manager Daniel Aeberli gives us the lowdown on their environmentally friendly Gecko Eco. 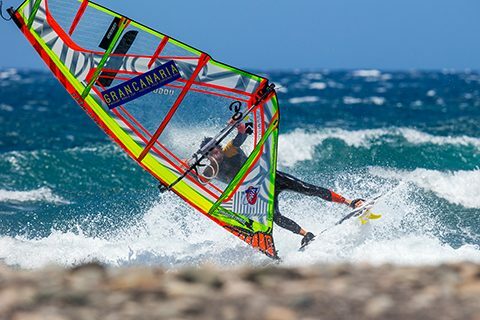 Jane Faughnan from Sportif and Marcus Bull from Planet Windsurf pick their favourite 3 windsurf getaways for winter and we provide micro-guides to a selection of spots on warmer shores. 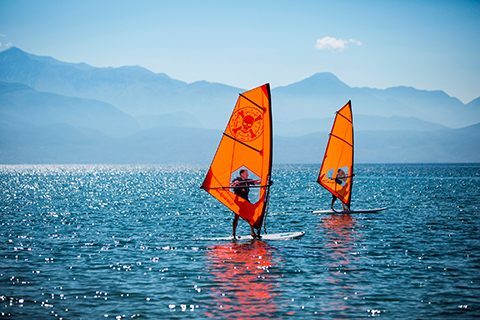 Every year people flee the UK to get their windsurfing fix but how do you keep it up when you return home? 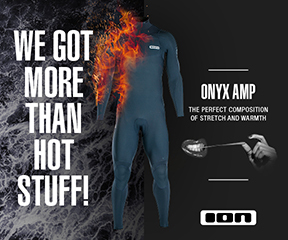 The RYA tell us how. 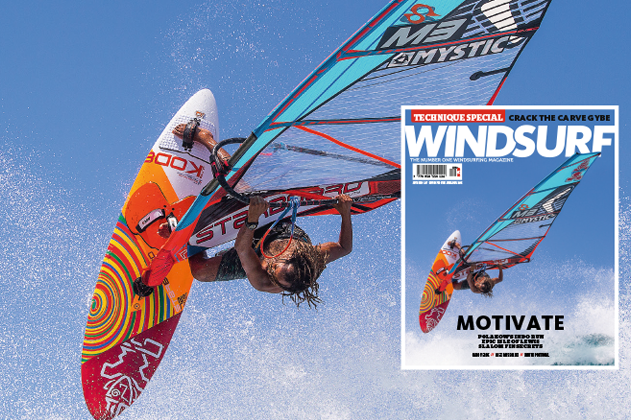 MOTIVATE – The editor discusses how we all need motivation, it helps inspire our windsurfing and windsurfing in turn motivates us – it’s win win! With the help of an illustrious expert, Harty investigates the validity of recent Great White sightings along the UK’s south coast.